St Ives Round Table took part in a sponsored sky dive to raise money for local worthy causes. This year one of the causes we are aiding is Nancealverne School, which provides specialist education for young people who have severe and profound learning difficulties and physical difficulties. 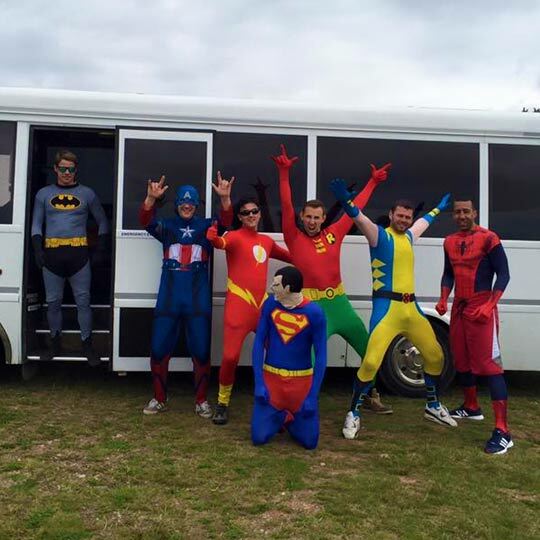 They arrived in style in The Party Bus and their super hero morph suits! For more info on St Ives Round Table, visit their Facebook page.